Shuck and Jive: Jack Rogers' Second Edition Now Out! 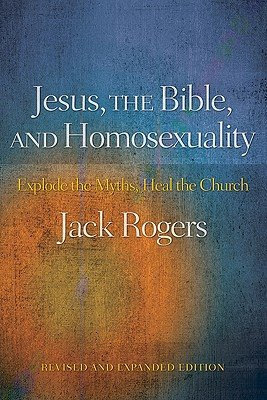 I was pleased to receive in the mail today an autographed copy of Dr. Jack Rogers' expanded and updated second edition Jesus, The Bible and Homosexuality: Explode the Myths, Heal the Church. You can order it now at Amazon. A study guide for group or personal reflection. I hope the new edition will make a helpful contribution to the conversation about equal rights in church and society for people who are LGBT. I look forward to reading and commenting on it. Pick up a few copies and place them in Easter baskets. Thanks for letting your readers know about the new edition of my book -- and thanks for all your good work! The thanks is to you for using your intellect, commitment and skill toward healing our church and saving lives.